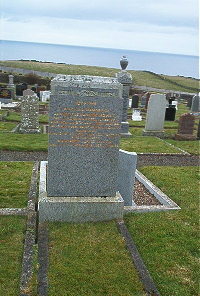 James Alexander Mowat of the Portland Arms Hotel Lybster died 8th January 1951 aged 44. Wife Jean Mackay of Achavanich died 13th May 1981 aged 71. Sister Margaret Jane Manson died 16th August 1991 aged 86.